Planned Parenthood supporters rally outside the Capitol in March. The Office of the Inspector General issued subpoenas to Texas Planned Parenthood clinics following state actions to cut off Medicaid funding to the organization. Earlier this week, as the state of Texas moved to kick Planned Parenthood out of the Medicaid program, Gov. Greg Abbott hinted there might be more to come. 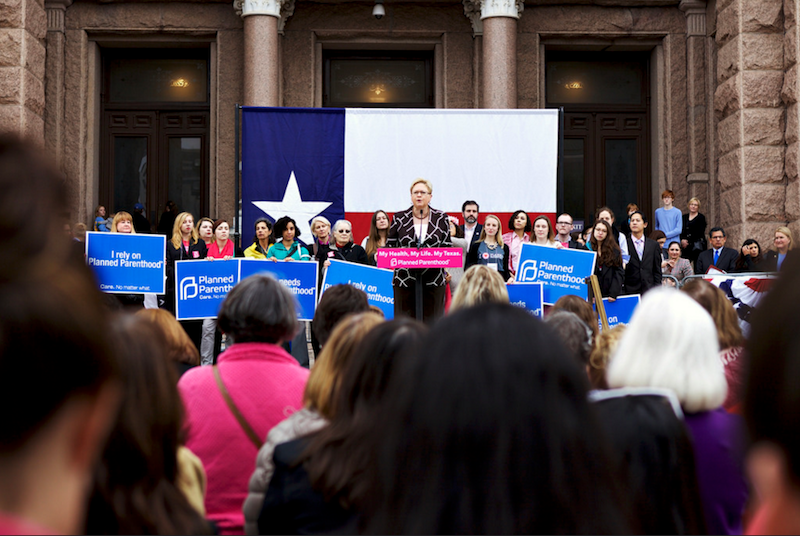 Thursday, Texas health officials served subpoenas to Planned Parenthood facilities across the state. The move was unannounced and simultaneous. 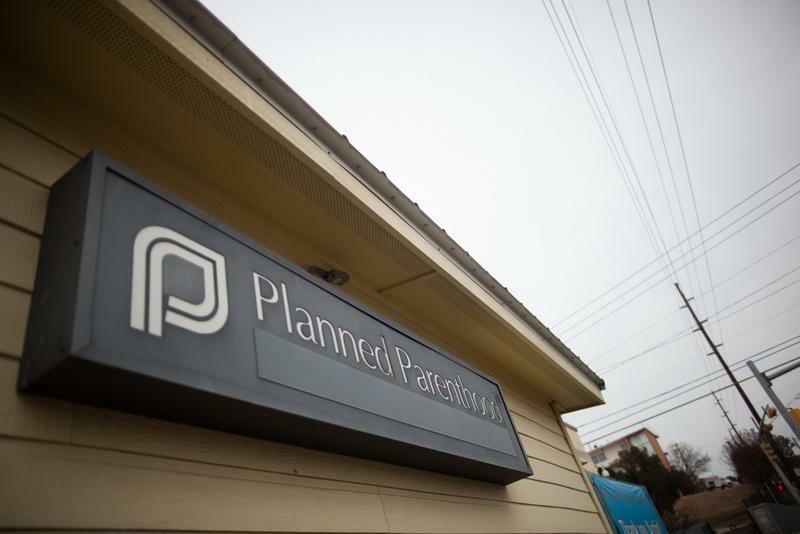 Investigators from the Inspector General's office of the Texas Health and Human Services Commission arrived at the doors of Planned Parenthood centers in Dallas, Houston, San Antonio and Brownsville. According to Planned Parenthood officials, state agents took photos, requested Medicaid records, billing information and employee records. Ken Lambrecht, president and CEO of Planned Parenthood of Greater Texas characterizes it as a fishing expedition. “The request for documents includes unprecedented and unnecessary information, such as the home addresses of each and every one of our employees,”Lambrecht says. So what, exactly, are state officials looking for? Brian Rosenthal has been reporting on this story for the Houston Chronicle. He says the state is refusing to comment on the situation. “They say it is an ongoing investigation and so they can’t say anything,” Rosenthal says. Rosenthal says Planned Parenthood’s attorneys are still trying to figure out how patient confidentiality plays into the request for information. He says the state included a 2003 letter from the Federal Centers for Medicare and Medicaid along with their subpoena. Rosenthal says Planned Parenthood’s deadline to turn over the records was at 10 a.m. Friday morning, but they’ve received an extension until next week. “No decision has been made about a response,” he says. “They are still trying to figure that out." From the Texas Tribune: Texas health officials say they are kicking Planned Parenthood out of the state Medicaid program entirely over what they called "acts of misconduct" revealed in undercover videos filmed earlier this year. 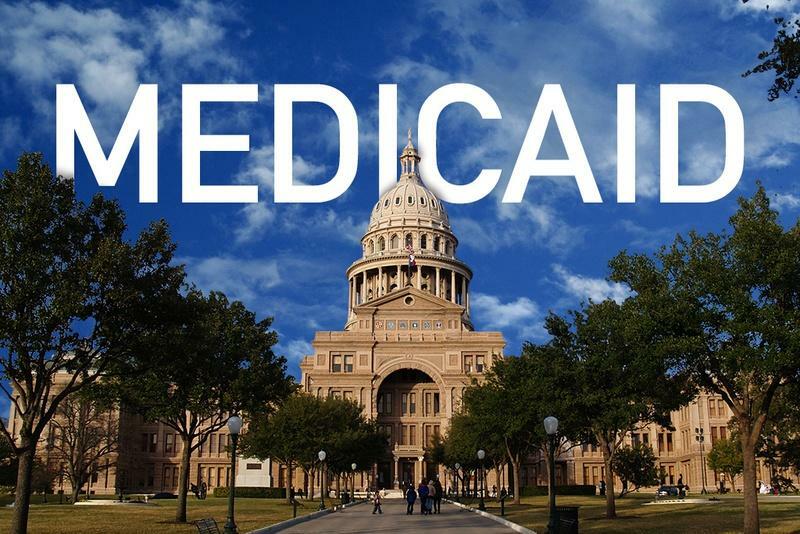 One of the most conservative groups in Texas is calling on the state to expand Medicaid – a government-run health care program for low-income people. 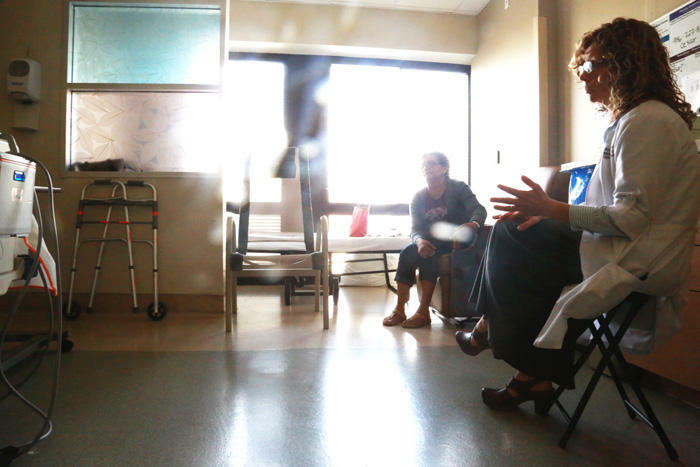 The Affordable Care Act offers states federal dollars to expand Medicaid, but the U.S. Supreme Court made expansion optional and Texas political leaders have decided not to expand. We don’t often hear about the Medicaid 1115 waiver in Texas, but this waiver gives Texas billions of federal dollars to provide some pretty expensive care. This waiver expires in 2016, though. 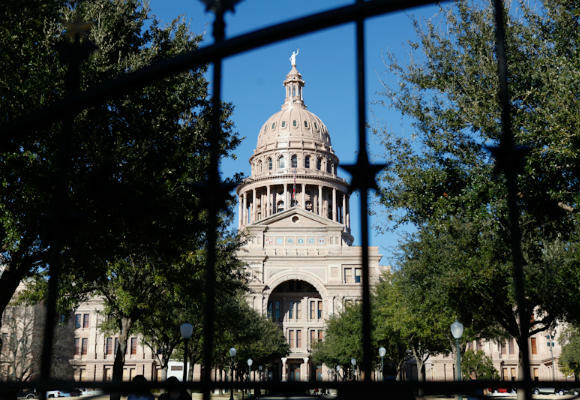 Texas is in the process of asking the federal government to extend and renew the money, but that renewal isn't guaranteed. Deep cuts to a therapy program for poor and disabled children will not take effect Oct. 1, a state district judge ruled Tuesday afternoon — the second such delay in recent weeks.